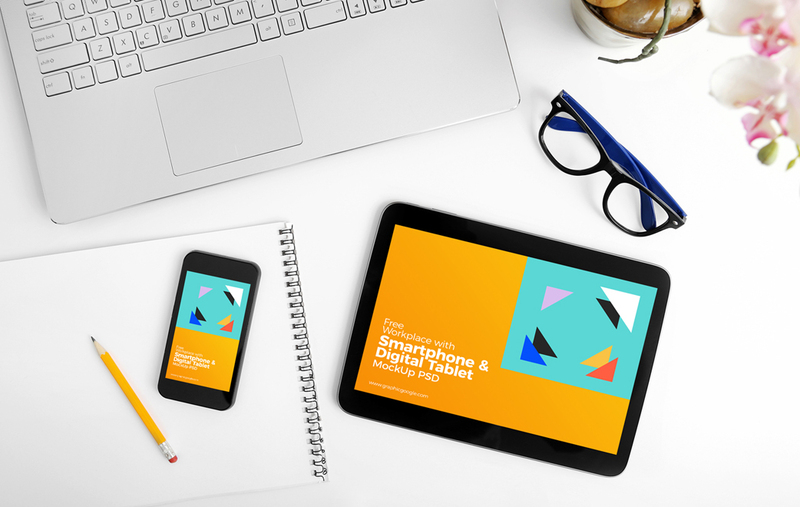 I am sharing the very beautiful Free Workplace Smartphone & Tablet Mock-up to showcase your designs. This professional mockup is shared by Graphic Google. Smart-layer help you to get the desire result. Must watch our daily blog and share with your friends.